Chairman of Presidential Advisory Committee Against Corruption Professor Itse Sagay (SAN) and Lagos lawyer/activist, Ade Adegboruwa have condemned the Court of Appeal ruling on Abia State governorship election. The Court of Appeal had cancelled election results from Obingwa, Osisioma and Isiala Ngwa North LGAs before declaring APGA’s Alex Otti winner, as against PDP’s Okezie Ikpeazu who was announced victor by the Independent National Electoral Commission (INEC). Speaking in an interview with New Telegraph, Sagay stressed that based on reports about cancellations of the three LGAs of the state; it is highly dangerous for the court’s decision to be based on over-voting and faulty card reader incidences. “Though it is very difficult for me to conclude but from what I heard, the implication was that based on Zamfara State Supreme Court judgment on over- voting issue, where it ruled that Card Reader has no binding effect over the electoral act. 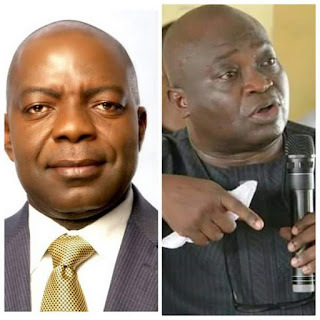 “If the decision of Abia State election was based on over voting and card reader incidents, then it means that the decision of the Appeal court concerning Abia State is in sort of danger”. According to him, discrediting as much as 300, 000 genuine votes is not logical and if there were discrepancies with those constituencies or LGAs, a supplementary election would have been ordered. Adegboruwa called the Appeal Court decision unacceptable and expressed worry that the entire country and the legal profession are becoming totally endangered by the ruling.